The BOS Series comprises dual-channel oscilloscopes with frequency bandwidths of 40 to 100 MHz at -3 dB, a maximum sweep of 10 ns, a maximum sensitivity of 1 mV/DIV, and 150 mm rectangular CRT with internal graticule. 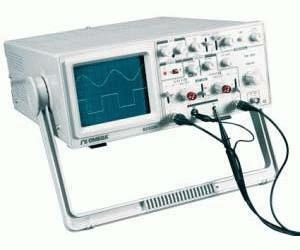 These oscilloscopes are rugged, easy to operate, and highly reliable. They are ideal for research, production, and electronics applications. The BOS converts a high-input differential voltage (≤1300 Vp) into a low voltage (≤6.5V). Optional accessories include differential voltage probes, which provide a safe means of measuring a floating potential.